Getting scholarships in Tennessee is not that hard as long as you have the patience as well as a good academic record to back you up. We all know how much a good academic record can be especially in providing you with a chance to pursue a college education. A lot of students usually do not know this which leads them to lose a great opportunity to earn their college degrees. Most would usually apply for student loans in order to get to college which can be quite frustrating once you have to start paying them back. This should not be the case if you are really interested in getting a degree in a field that you desire. You can always prepare yourself beforehand in order to get the best opportunities in pursuing a career that you like. You know that it can only be done if you do well during high school and if you possess the character which will help you win that scholarship. Not all students are given this opportunity as there are strict standards to which you must be able to comply with. You should also do your research well in advance in order to know the qualifications as well as the specific deadlines. 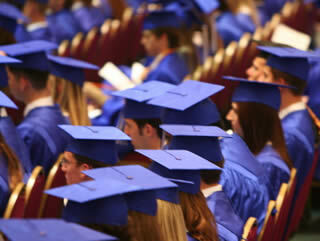 Scholarship programs can be found in different institutions as well as in different universities and colleges. They will have varying qualifications for the various awards that they give and they will also need you to do several things before your application can be accepted. The thing to do is to prepare well and to get as much information about the scholarship as well as the organization who will be giving it. Knowing some background about your benefactors can help you along the way. Additionally, when filling out your applications its recommended to be as thorough as possible. Those who include more information related to the qualifications required, typically have a better chance at being accepted. Before getting started sending out applications it’s a good idea to visiting FAFSA. FAFSA, short for the Free Application for Federal Student Aid, is a government run program that will help you qualify for a variety of federal aid opportunities, grants, and private and public scholarships. Completing a FAFSA is a requirement for many different awards, including the Federal Pell Grant Program. Filling out this application will match you with available opportunities and funding. If you want to get a free post-secondary education, here are some of the options that you can find in Tennessee. The Tennessee Hope Foster Child Tuition Grant which is specifically offered to children who had been under the care of the Tennessee Department of Children’s Services for at least one year and was placed for adoption. There is also the James A. Hyter Vocal Music Scholarship which is offered for those who have a particular talent for music and singing and who has a 3.0 GPA at least. Those pursuing a string music education can find the Abell Family String Scholarship. Those working toward careers in science or engineering can find the Kylen C. Bares Memorial Scholarship Fund.Those studying family, or consumer sciences can apply for the Mildred Galloway Scholarship Fund. If you want a full scholarship, you can apply to the Stegall Charitable Educational Foundation Scholarship. This is given to those who will pass the organization’s qualifications and has the following benefits: payment for college tuition fees, books, room and board and other expenses. A teaching career can also be achieved by applying for the Tennessee Christa McAuliffe Scholarship which is given as a memorial to the late high school teacher who died in the space shuttle, Challenger. There is also the Nashville ATHENA Scholarships for Traditional Students who provides a $5,000 and $2,500 scholarship, for both the winner and the runners-up for traditional students who reside in specific areas in Tennessee. Students with a 3.5 GPA can try for the Ned McWherter Scholars Program that provides up to $6000 per academic year.